The black starter comes with 5 exclusive dark demon cards!! 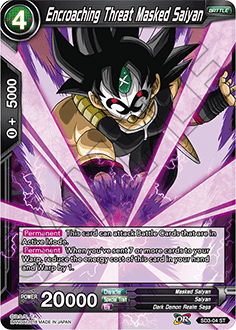 The black starter focuses on the Dark Demon Realm Saga, and features a combination of green and black cards! Place the top three cards of your deck into your Drop Area to gain +5000 power and Critical! 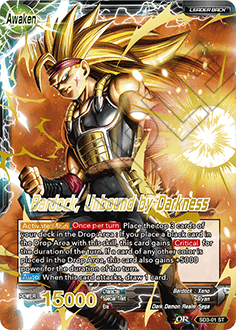 Bardock also makes it easier to activate Over Realm, making him a great choice for any black deck! Trunks has Double Strike, and if you evolve into him, you can even play a 3-cost card from your Warp! 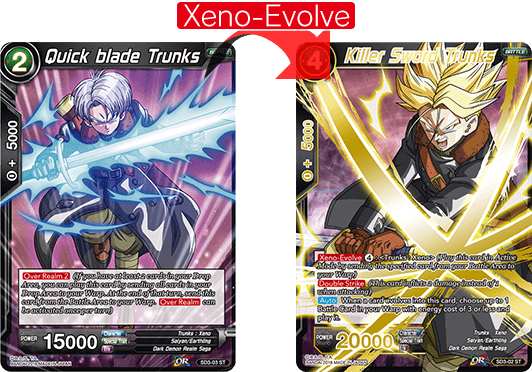 He costs 4 energy, but by using SD3-03 Trunks’ Over Realm, you can attack early, then Xeno-Evolve into Killer Sword Trunks for a blitzkrieg offense! 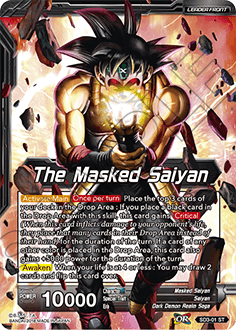 This Masked Saiyan can attack cards in Active Mode! 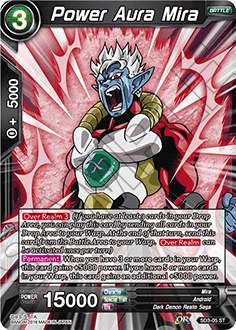 He also gets a -1 cost reduction depending on the number of cards in your Warp, allowing you to create a powerful combination with the Trunks introduced above! Use Over Realm, and Mira’s permanent skill is guaranteed to kick in! Series 3 also features a Mira with Xeno-Evolve, making him a great fit for Mira-centric decks! 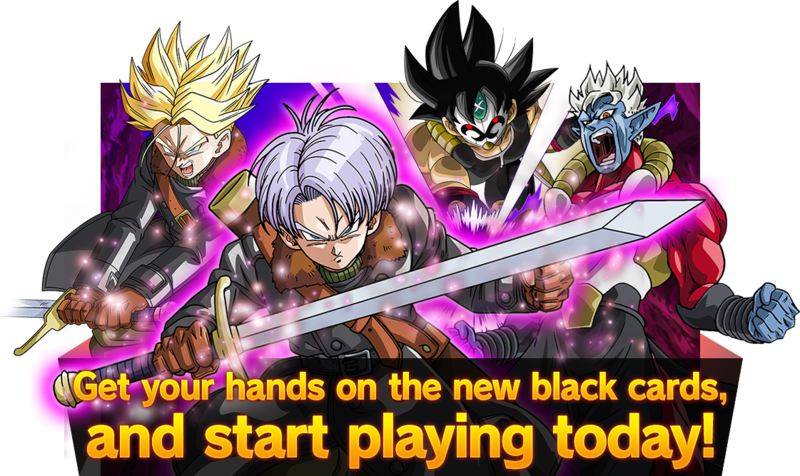 Characters from the Dark Demon Realm Saga are here in force!